People have various motivations for seeking vein treatment, including aesthetic reasons, but it’s important to remember that treatments for spider veins or varicose veins — as minimally invasive as they may be — are still medical procedures. That’s why it’s important to be informed and to go to a provider who is certified by the American Board of Venous & Lymphatic Medicine (ABVLM). The ABVLM, formerly the American Board of Phlebology, was established in 2007 to improve the standards of medical practitioners and the quality of patient care related to the treatment of venous disorders and all aspects of venous disease. The ABVLM also offers a Board Certification Exam, which ensures that physicians who specialize in phlebology (vein care) have met rigorous standards of education, experience, and evaluation. In addition to passing the exam, diplomates must demonstrate their experience and continuing medical education in the field. To that end, the ABVLM has also established educational standards for teaching and training programs in phlebology. The ABVLM and the establishment of a Board Certification Exam brings recognition to both the field of phlebology and those providers in the field who have the knowledge, skills, and experience to provide quality care to phlebology patients. While many practice in the field of phlebology in Maine, there are just six Board certified phlebologists in the state who meet this high standard. In addition to being a Board certified vein specialist, Dr. Cindy Asbjornsen is also the only doctor in Maine to be named a Fellow by the American College of Phlebology. If you would like to schedule an appointment with Dr. Asbjornsen, please contact us at Vein Healthcare Center. We look forward to meeting you! Veins are not a new invention. But phlebology – the study and treatment of veins and venous disease – is a relatively recent field of medicine. Once a sideline of vascular surgeons (whose focus was and is mainly arteries), phlebology is a burgeoning discipline that continues to add skilled specialists to its ranks. Dr. Raymond Tournay first coined the term phlebology in 1947: “phlebo” meaning “vein,” and “ology,” meaning any science or branch of knowledge. Tournay and his colleagues founded the French Society of Phlebology (SFP), also in 1947, and he was its General Secretary for many years. 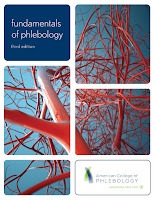 The American College of Phlebology (ACP) was founded in 1985 by Dr. Anton Butie, though its original name was the North American Society of Phlebology. Its purpose was to bring together physicians and surgeons from diverse specialties who shared an interest in venous disease. The Society started with just fourteen members. Today, the ACP has over 2,000 physicians and allied health professional members, including physician assistants, advanced practice nurses, and ultrasound specialists and technologists. In 2005, phlebology was approved for inclusion in the list of self-designated medical specialties sanctioned by the American Medical Association (AMA). 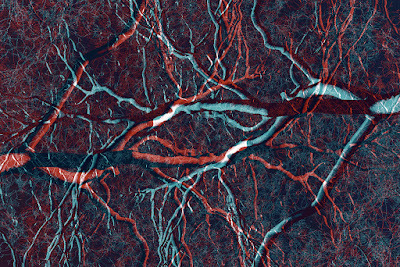 The decision by the AMA meant that physicians who diagnose and treat venous disorders, including varicose veins, could select phlebology as their primary or secondary area of practice. In 2007, the American Osteopathic Association (AOA) followed the AMA’s lead and officially recognized phlebology as a distinct practice discipline. Venous disease is extraordinarily common, but historically it has been poorly understood in the medical community. However, as the awareness of vein disorders and modern treatments has grown— among healthcare professionals and the general public— history is quickly changing. To see how phlebology can improve your health and quality of life, contact us at Vein Healthcare Center. We're happy to answer any of your vein questions.